Competition Time! 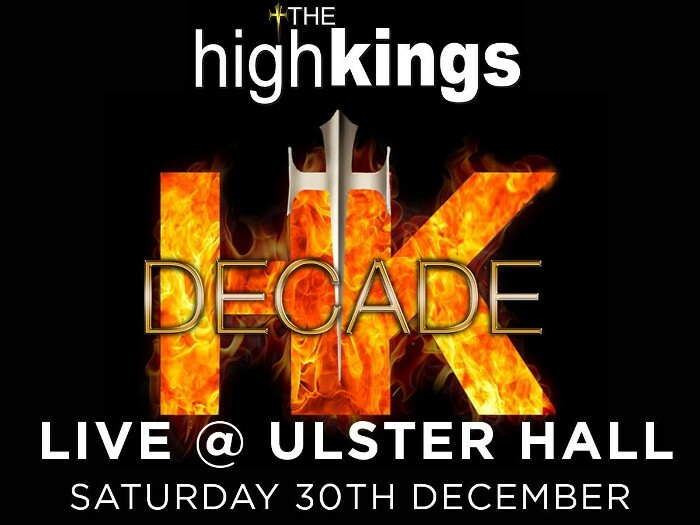 Win a High Kings GOLDEN TICKET of two premium tickets, a signed copy of Decade CD and Tour Poster for our annual visit to the legendary Ulster Hall in Belfast on Saturday December 30th. Visit our facebook page and name ONE song from our new DECADE album and tag one other person to enter! Competition closes on December 28th, 6pm Irish Time.